Welcome to the SCR blog page. This is where you can find out the inside track about everything (well almost!) that's going on at Stratford Community Radio. Presenters, producers and all the back room staff will keep you up to speed on all the latest developments at YOUR radio station, so remember to check back on a regular basis. Don't forget, if you've got something to say about the town in which you live, then contact us. This blog is now located at http://myscr.blogspot.com/. Local singer/songwriter Portia Conn joins Adrian Styles live at Stratford Community Radio on Saturday 6th March! 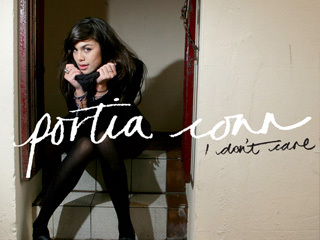 As a regular supporter of Stratford Community Radio, we welcome back Portia to find out what she's got planned for 2010 and discuss her recent debut single 'I Don't Care'. Listen in to the interview from 12-1pm and hear Portia play some live acoustic tracks.